Today’s world is full of technical development. Google Allo is the new messaging app invented in our nation. It is an instant messaging mobile app developed by Google that includes a high software agent and provides a "smart reply" function that allows users to reply without typing. What is a smart reply? It is new for this app. Google has used a function called “machine learning” technology which is a high-end process where the machine itself has the ability to suggest a reply to the last message, which can be selected from a few options. The feature also analyses images sent to the user in order to suggest responses. Similar to the smart reply feature, it learns from the user's behavior to adapt its suggestions over time. But as like other users, it also consists of phone numbers to send all sorts of text messages to anyone belongs to your phonebook not only the Allo users. Apart from that Google highlighted three aspects of Allo that make it unique: Expression, Google Assistant, and Security. It is same as other messaging apps. But one of the hottest features is something called Whisper or shouts. This will let you slide up or down on the send button to change the size of your reply, meaning there's no need to write in caps all the time when you're angry. Another feature contains Ink that lets you get creative with photos. The assistive technology can help you communicate with little to no effort. Google Allo also consists of a virtual assistance as it helps to continue any conversation without interruption. Like you are having a conversation with your friend and need to find a restaurant for dining. In Google Allo you don’t need to close the conversation instead Allo will help you to find a restaurant according to your needs and with all the details of the particular restaurant. So in Allo, and with Google Assistant's help, you can get everything done in one app. With so much artificial intelligence still Google Allo is good in its security. All messages in Allo are encrypted. Also, Allo offers an Incognito Mode, just like Chrome browser does, meaning you get access to not only end-to-end encrypted messages but features like expiring chats and private notifications. Why should we use Google Allo? All the features contained in one app with artificial intelligence. Allo is tied to your phone number so you can text anyone in your phonebook. You can doodle on photos, book reservations, ask Google Assistant questions, search for information, and enter an Incognito Mode, etc. and all of that can get done within this one, free app. 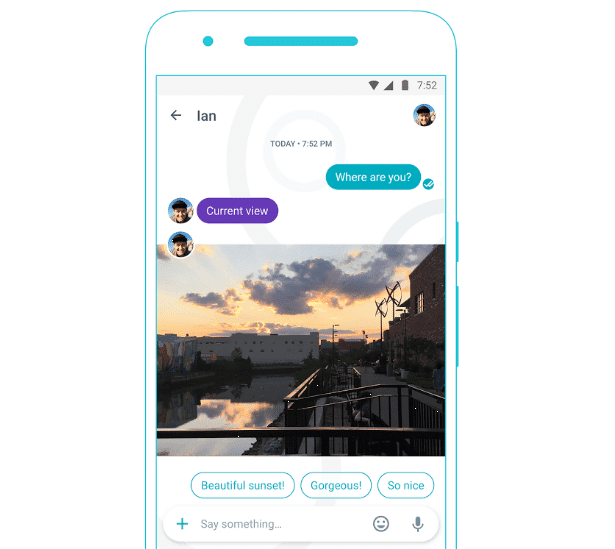 Now from when is Google Allo available? It is the most awaiting part. With such features and intelligence, it is now the hot launch in the market. The app is available on both android and iOS devices. And the app is to be pre-installed on Pixel phones, along with its sister app, Google Duo.